A man who got into a hostile confrontation with firefighters at a Pacific Beach fire station Tuesday — the 17th anniversary of the 9/11 terror attacks — was promptly arrested on suspicion of making criminal threats. 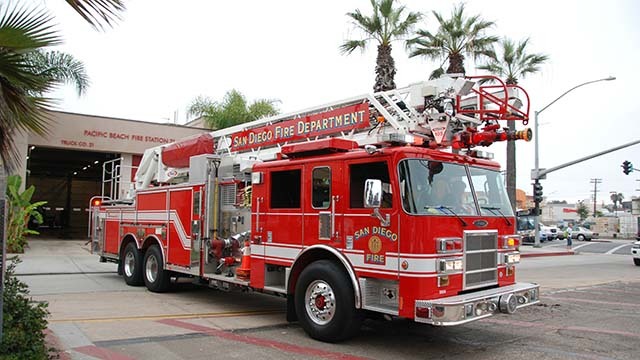 The man, whose name was not immediately available, “aggressively” approached personnel at San Diego Fire-Rescue Department Station 21, 750 Grand Ave., about 1:30 p.m. and made some sort of request, SDFRD spokesman Alec Phillipp said. Apparently unable to clearly explain what he wanted, the man “became increasingly upset with the crew after some interaction,” prompting them to make a 911 call, Phillipp said. Officers sped to the firehouse with lights and sirens activated and took the suspect in custody without incident, San Diego police spokesman Billy Hernandez said. The arrestee’s identity and the details on the nature of the alleged threats — including whether they had anything to do with the 9/11 anniversary — were not immediately available. About 1:45 p.m., personnel at the firehouse radioed that no one was injured and that operations there were back to normal, Phillipp said.